Measurements: 14mm Tall x 12mm Wide x 5mm Deep. 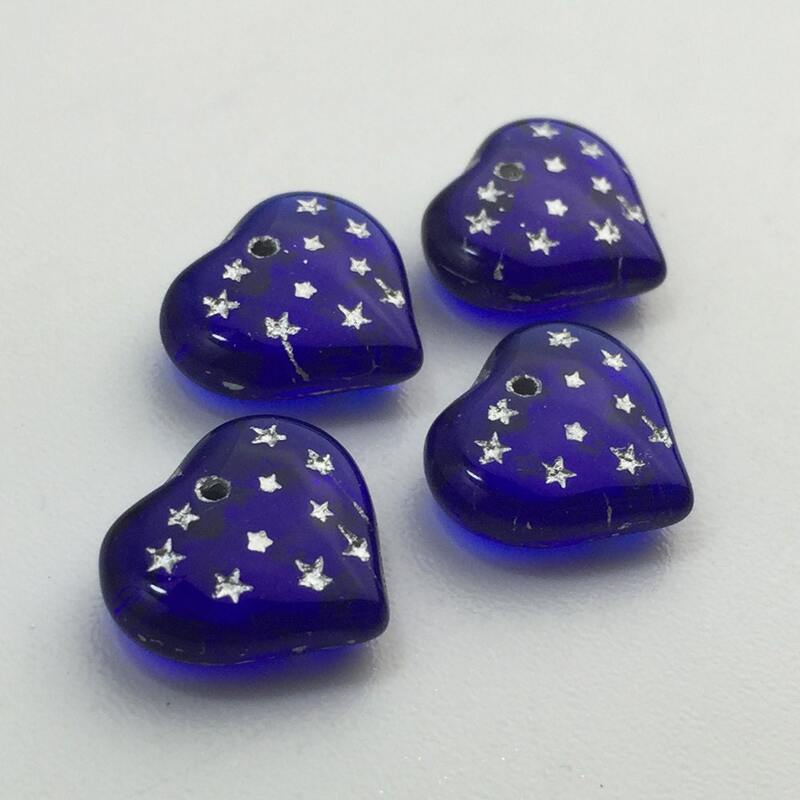 Color: Cobalt Blue with Silver Stars. Country of Origin: Made Germany. The bead hole runs from front to back. 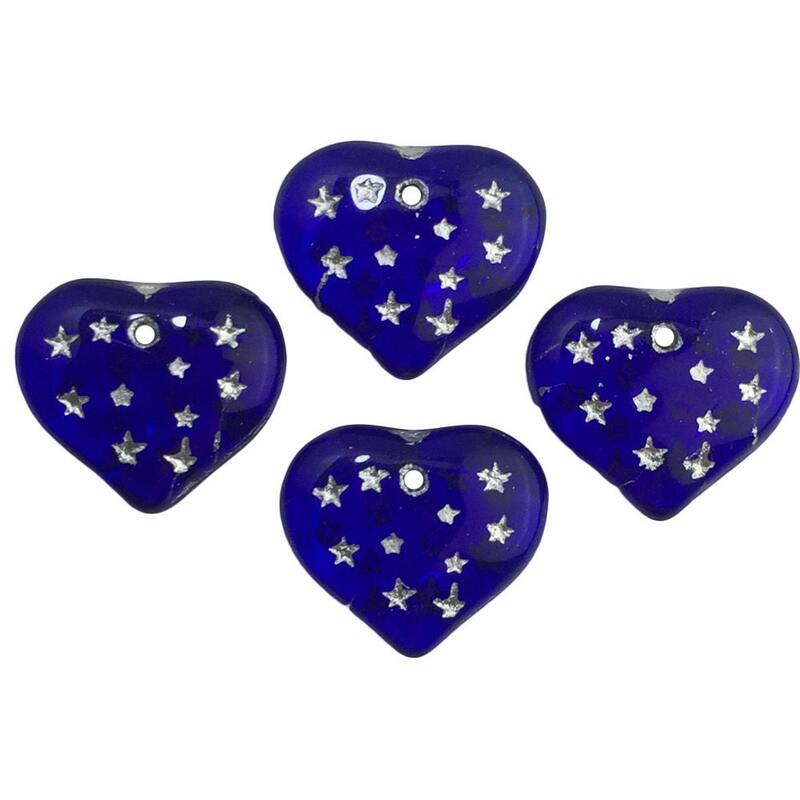 These cobalt hearts are so lovely! And, they arrived on time.